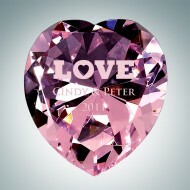 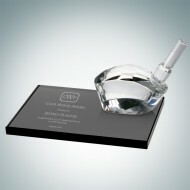 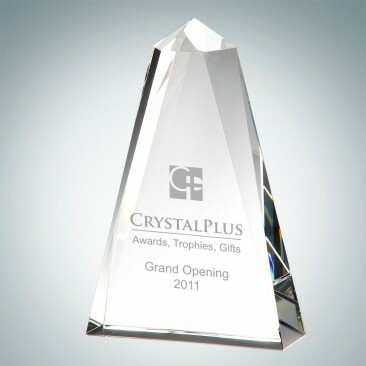 Peter Wayne Yenawine, the world's foremost designer of corporate gifts, has designed this exclusive Magic in Crystal collection. 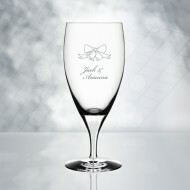 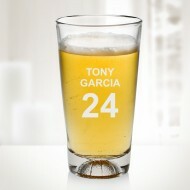 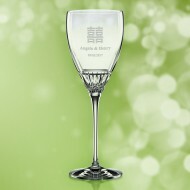 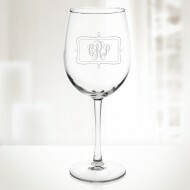 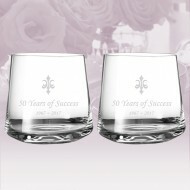 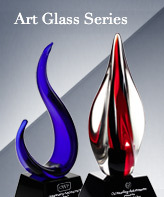 His designs have been produced by major crystalleries and art glass houses. 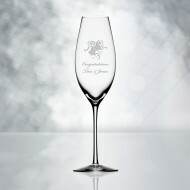 Collections of Yenawine designs reside in many corporate headquarters and museums throughout the world. 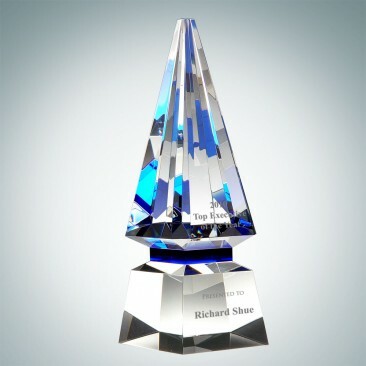 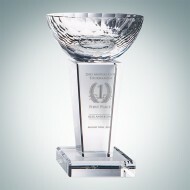 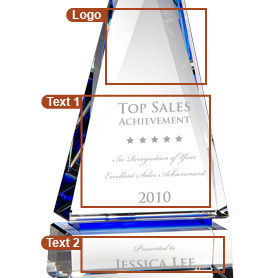 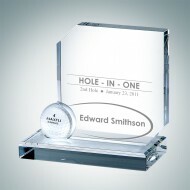 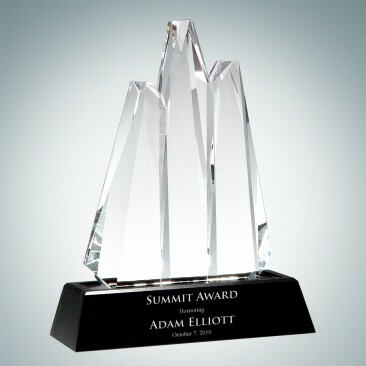 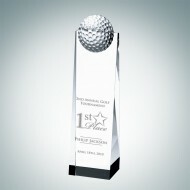 This high quality Optical Crystal 'Obelisk of Success' Award features a blue crystal divider between the base and the peak. 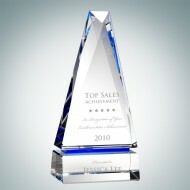 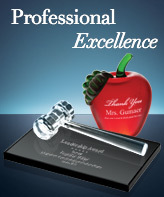 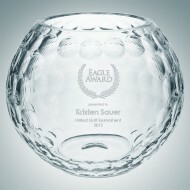 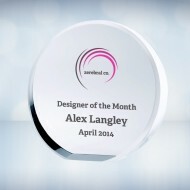 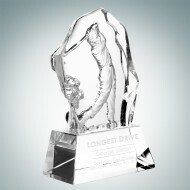 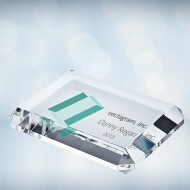 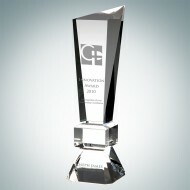 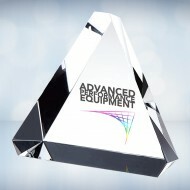 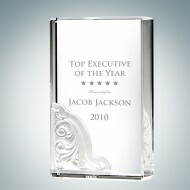 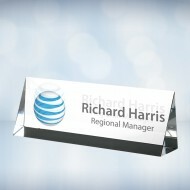 The award glows blue under a spotlight and the light refracts brilliantly through the many facets. 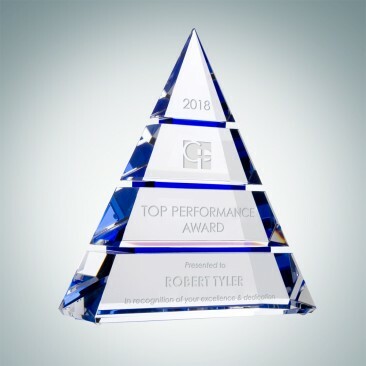 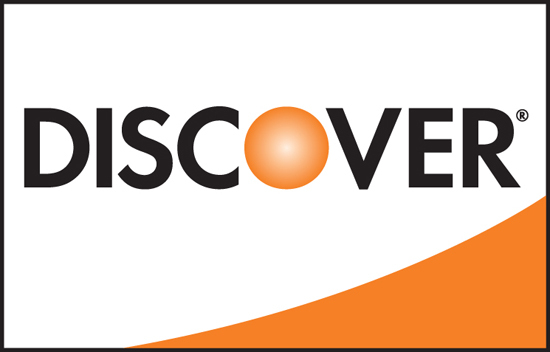 The overall inspiration was to create works of art that could be personalized for presentation recognizing outstanding achievement, leadership, integrity, responsibility, sales and promoting the corporate culture. 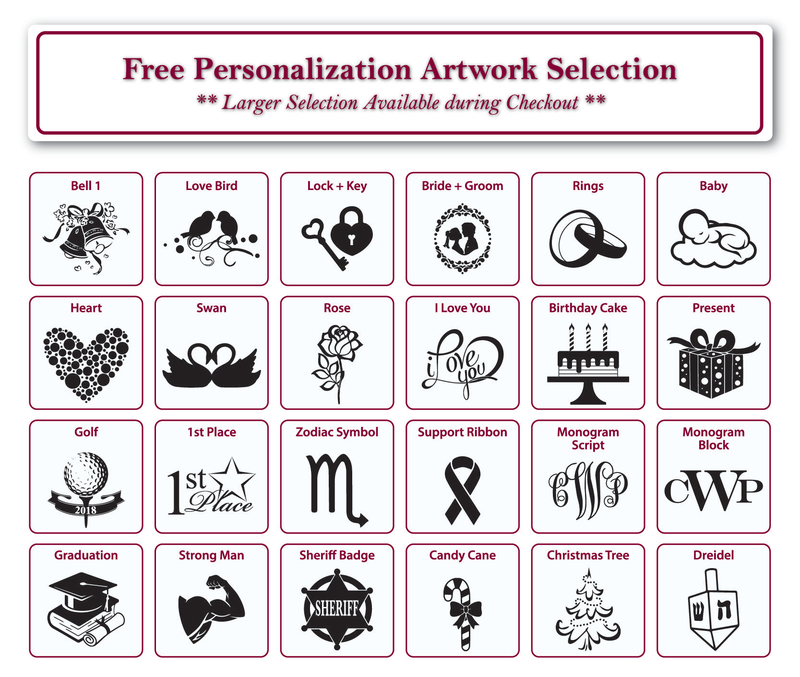 All of the works of art in this collection have considered personalization as a major parameter in their creation. 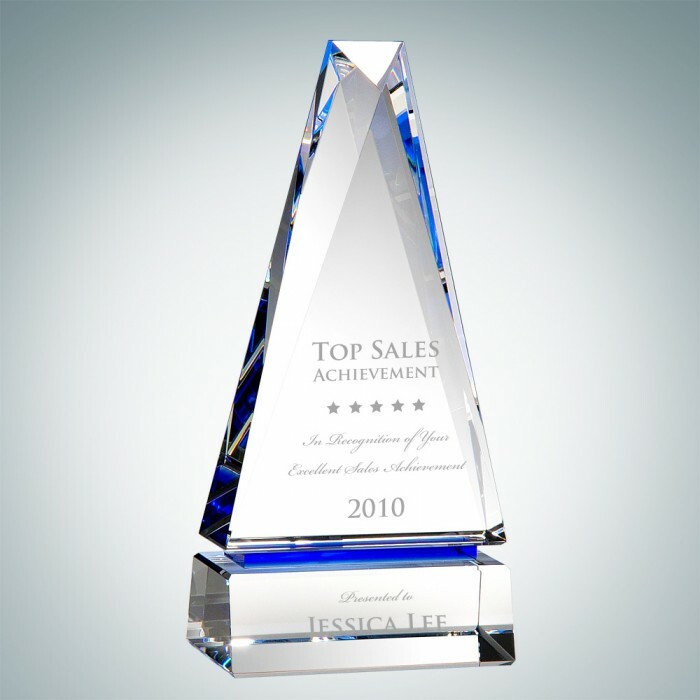 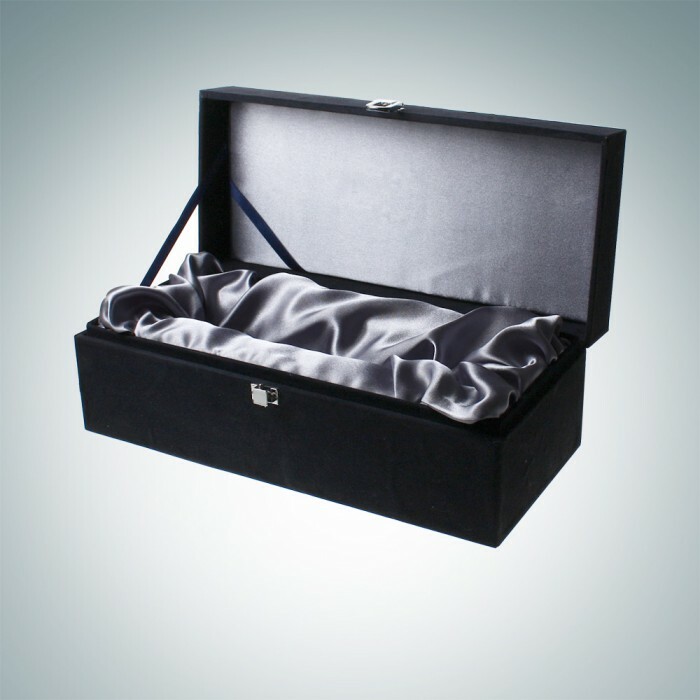 Therefore, whether you simply select a piece and present it as a work of art, or completely personalize it or a particular corporation, occasion, or milestone, it is assured to be treasured by the recipient for generations.